What I would want to do, generally, with any good rock album, would be to talk about the basics, ‘the drummer makes this album what it is, and the guitarist is so creative and spot-on, and the vocals are so refreshing and’ blah blah blah. I can’t do that this time, because this wonderful rock band is one man. 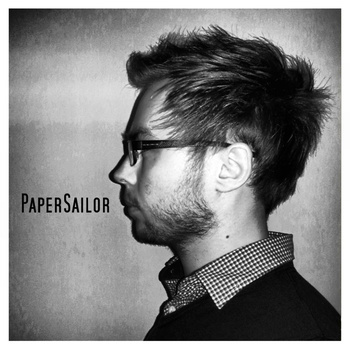 You would have never guessed that PaperSailor’s new self-titled EP is, quite simply, Scotland’s Michael Wilson. The five-song EP has gotten a lot of spins in my office. I’m very impressed. Rock music isn’t my thing. I always have an open mind, have a listen, and if I find something interesting enough about it, I’ll review it, and then move on. PaperSailor’s EP is a rarity in the fact that I did my job and gave it a chance, but now that I’m reviewing it, I’m still not done with it. The only aspect of the record that made me believe or understand that this could be a one-man band, is that the song structures are a bit unusual and surprising. Perhaps that’s what kept my interest in the first place. In a band, you have several ideas floating around the room about the simplest things like ‘what do we do on the bridge for track 3’. And then everyone decides on something and then they have to execute in a certain way which may or may not be agreed upon. Michael Wilson only has to connect and stay in tune with Michael Wilson. That’s why, I believe, this record is so unique, and quite enjoyable! I wish that I had all of the right words to put this album into perspective for you. Dark, dreamy, ambient, poetic, romantic, melodic, peaceful……………………….. It’s a start anyhow. Alex Shelter is a French singer/songwriter, but apparently got his start in music when he spent several years living in the U.S. I honestly don’t see much ‘American Music’ influence. The only comparison that comes to mind is that of the late, great Mark Linkous (Sparklehorse, Dark Night Of The Soul) who had a way, not only with words, but made you feel what he wanted you to feel, on any end of the spectrum. This will go down as one of the best independent record releases of this year, and I believe that if Shelter continues to make music and take the proper steps of sharing it, he will one day be a very, very well-known artist. I can’t wait to hear more. 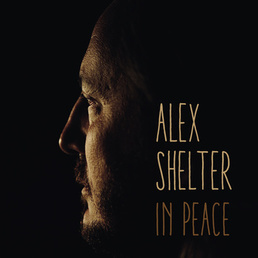 Check out Alex Shelter’s new record In Peace. 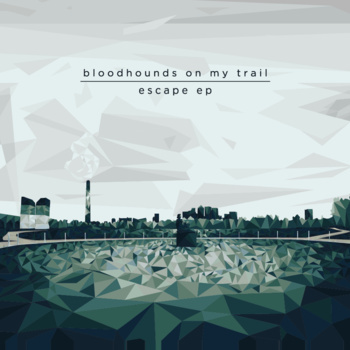 I will be shocked if I come across an EP, in the year 2015, that is better than Escape EP by Bloodhounds On My Trail. This record is legit! And it’s their debut EP! Bloodhounds On My Trail are Johnny Green (guitar, vocals), Chris Donaldson (guitar), Jonny O’Hara (bass) and Nik Donaldson (drums) and they hail from Melbourne, Australia. Why is there so much good music coming out of Australia right now??? Australia’s shoegaze and indie rock scene, to me, is the equivalent of the Iceland ambient music explosion of the early 2000’s. Bloodhounds On My Trail just continue proving my theory. Everything from the lyrics to the mixing is spot-on on Escape EP. Within a minute of pressing play, my eyes were closed, and I was far, far away. I don’t know if I can as far as to say that the guitar work was ‘brilliant’, but obviously a major key component in the shoegaze genre is the guitar work. Well, it is brilliant for what it is on this EP. Well done guys. Keep it coming! You are currently browsing the lovesound blog archives for April, 2015.